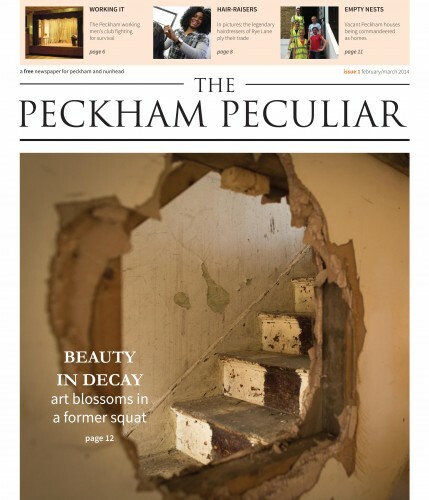 January's Newspaper of the Month is The Peckham Peculiar, a brilliant new community newspaper put together by four friends who work in publishing and journalism (and sometimes write Sunday Times bestselling books). 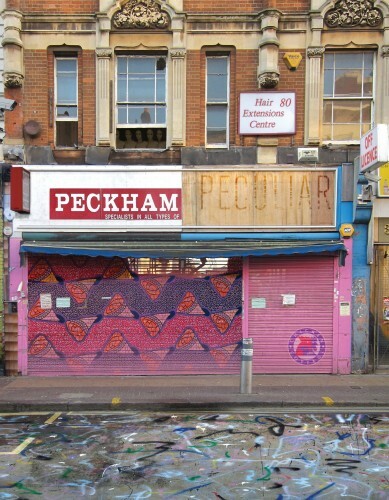 Duncan Barrett, Nuala Calvi, Mark McGinlay and Kate White funded the project through a successful Kickstarter campaign and are planning to publish six issues of The Peckham Peculiar this year. Since handing out the first issues on 18 January outside Rye Lane Baptist Chapel, they have assembled a cracking squad of stockists and a very happy readership-- their Twitter feed is filled with photos of Peckhamians having a quiet read over a pastry or juggling the paper with a packet of crisps. It's fantastic to see a project that so brings out the character of a community-- a big reason why we love printing local newspapers. We’ve always had a huge love for local newspapers and the important role that they play within communities, and have dreamt for many years of setting up our own paper for the area we live in. 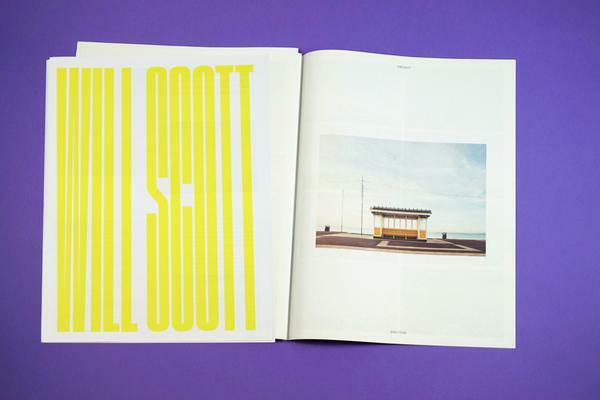 Other parts of London including Brixton, Kentish Town and Croydon already have their own papers and we felt that Peckham deserved its own hyperlocal publication, dedicated solely to the SE15 postcode and featuring the word ‘Peckham’ in the masthead. We have lived in southeast London for a combined total of about 30 years and love the area for its huge diversity and strong community spirit. 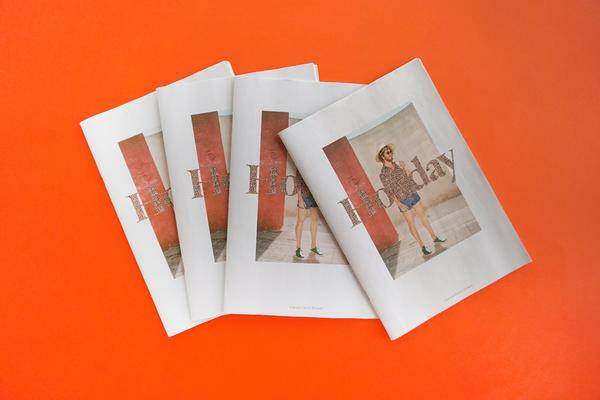 We wanted to celebrate the uniqueness of Peckham with a newspaper to be enjoyed by everyone who lives and works here. We also wanted it to be free and therefore accessible to all. Having decided to call our paper <>emThe Peckham Peculiar, in September last year we managed to raise more than £5,000 on the crowdfunding website Kickstarter to fund the printing and distribution of our first two issues. We had 150 donations ranging from £1 to £1,000, from local people to someone in the United States. We wanted to create a newspaper with unique stories about real people, devoid of celebrity-led drivel. Having a strong and eye-catching design was important to us because, aware of the number of free publications around, we knew we had to stand out from the crowd. We also wanted the paper to feature excellent photography. Although we are all writers, none of us have ever designed a newspaper before and didn’t know much about CMYK colours, bleed, margins and other technical terms. We were therefore over the moon to discover the Newspaper Club website, which contained lots of useful information and seemed to be aimed at people exactly like us. 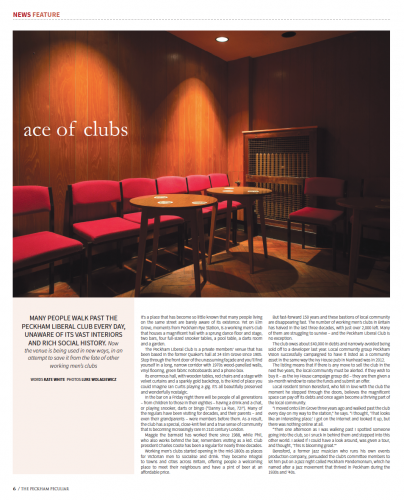 The other publications on the Newspaper Club website looked so brilliant and boldly designed. Other titles that inspired us included a local newspaper called The Bedford Clanger, which we loved the sound of, and the beautifully-designed Tomorrow’s Chip Paper and Root & Bone. 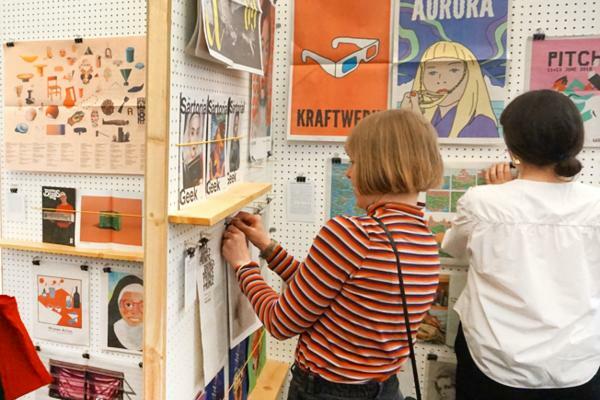 When it came to designing The Peckham Peculiar, Newspaper Club were so helpful, checking pages for us in advance and flagging up any potential issues that might be problematic at printing stage. They were always on the end of an email and the help they gave us was invaluable. Now we’ve finally printed 8,000 improved tabloid copies of The Peckham Peculiar and are so pleased with the results. It is stocked at more than 50 shops across Peckham and Nunhead and we’ve been giving it out at local train stations too. It’s so exciting to see our paper around town and people reading it in cafes or on the train. We were even invited to film a segment for the BBC Breakfast show about hyperlocal newspapers. Having a BBC camera crew turn up our flat, seeing The Peckham Peculiar on BBC One and hearing Bill Turnbull mention our name was surreal to say the least. 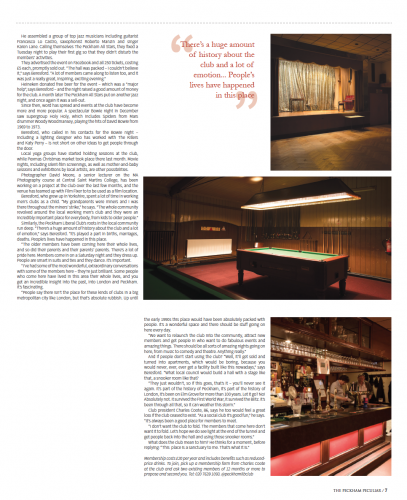 Stories in issue one include a photo essay on the legendary hairdressers of Rye Lane and a feature on the Peckham Liberal Club, a local working men's club that is fighting to stay open. 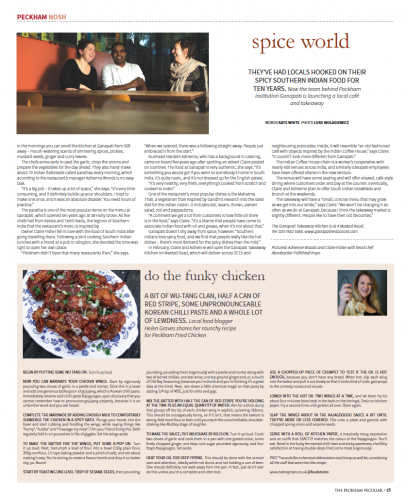 Pick up a copy when you're next in Peckham or view it online on Issuu. For up-to-the-minute Peckham news, and information about the next issues of the newspaper, follow The Peckham Peculiar on Twitter. Thank you for printing with us!